Welcome to Bikerloans, Motorbike Services. Just launched we hope in the coming months to have a wealth of UK motorcycle resources added for you to locate in your local area. Simply select your region to find: Motorcycle Dealers, Clothing, Training, Parts and accessories, motorcycle clubs and related websites. If you’re involved in the motorcycle industry and have a website we should include please submit it to us for consideration. Everything motorbikes & scooters Sales of new and used motorbikes & scooters, service,repairs & mot`s,Tyres sales and fitting,engine re-builds road & race, Dyna pro dyno,Tunning & race prep, state of the art diagnostics. Lambretta Specialists Sales, Servicing, Repair, Renovations. Tuning, Customising, Paint Effects, Polishing, Chroming. Powdercoating. Insurance Repairs. From a replacement cable to a full rebuild. Bike Recovery and delivery. Panel work and refinishing. Brazing. Welding. Graphics, Airbrush Effects. 2k Lacquer and Tints Paint Matching Service. From superbike to cruiser and commuter to supermotard, mopeds to dirt bikes, we always have a wide variety of used motorcycles for sale. Take a look at our ’used sales’ page to see the complete range of second hand motorbikes we have from Ducati, Yamaha, Suzuki, Aprilia, Honda, Kawasaki, Triumph, BMW and also Harley Davidson. Our motorcycle sales showroom is always fully stocked and virtually all our new and used motorcycles now come with a free lifetime warranty as standard. 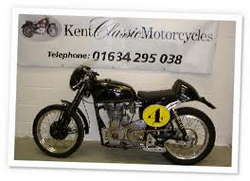 Secondhand Motorbikes in Sussex, Used Sports Bikes, Used Scooters for sale, We buy any bike for Cash. 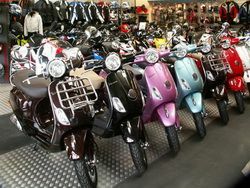 Aprilia, Derbi, Gilera and Vespa dealer in West Yorkshire. Massive collection of helmets, motorbike clothing and accessories.